Just in time for Halloween, George A. Romero's Night of the Living Dead is returning from the grave to haunt theaters once again. But this isn't the same version you've been watching at midnight screenings for the last 50 years. No. No! To celebrate the film's 50th anniversary, Fathom Events will feature the stunning FULLY RESTORED version of Night of the Living Dead at 200 select movie theaters around the country on October 24th and 25th. Find out if it will be at a theater near you below. The screening will be at 7:00 pm and 10:00 pm. "A deceptively simple tale of a group of strangers trapped in a farmhouse who find themselves fending off a horde of recently dead, flesh-eating ghouls. Romero's claustrophobic vision of a late-1960s America literally tearing itself apart rewrote the rules of the horror genre, combined gruesome gore with acute social commentary, and quietly broke ground by casting a black actor (Duane Jones) in its lead role." This version of the film is a product of Romero's 2017 collaboration with the Museum of Modern Art and the George Lucas Family Foundation which restored the film from the original camera negative. This is a 4K Ultra HD remaster that promises to be more visually striking and terrifying than ever. The restored version was released last year by Criterion and it simply slays all you think you know or have previously seen from this movie. The crispness makes fresh again all the classic scenes and the depth of the black-and-white picture is breathtaking. 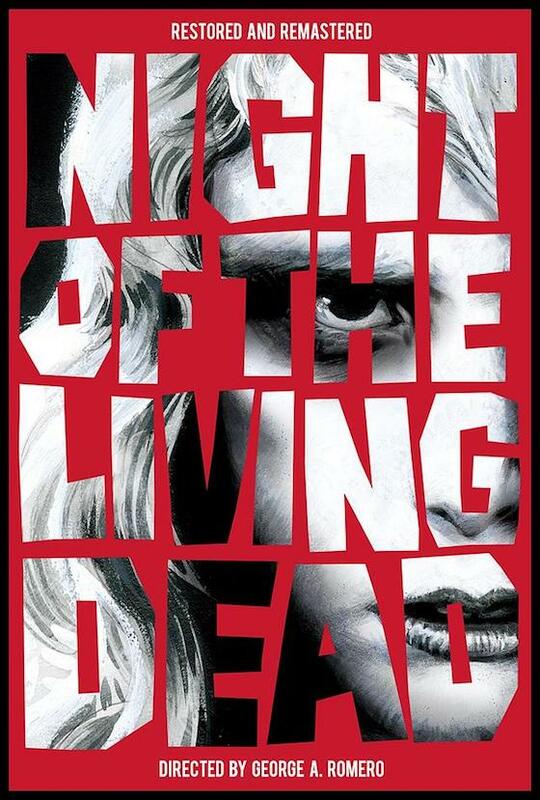 If you haven't seen this film in theaters, you haven't truly seen Night of the Living Dead as it was intended: in a dark theater, on the big screen. So check below to see if it is playing near you. Synopsis: A deceptively simple tale of a group of strangers trapped in a farmhouse who find themselves fending off a horde of recently dead, flesh-eating ghouls. 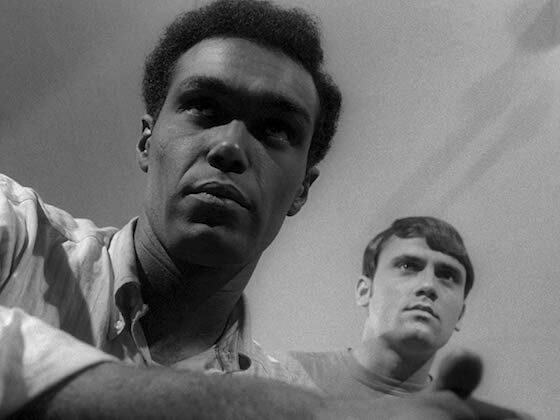 Romero's claustrophobic vision of a late-1960s America literally tearing itself apart rewrote the rules of the horror genre, combined gruesome gore with acute social commentary, and quietly broke ground by casting a black actor (Duane Jones) in its lead role. And if seeing the film in Ultra HD format isn't enough, stick around after the presentation for the behind-the-scenes look at the making of this iconic film. You can get your tickets starting today at Fathomevents.com and the box office of participating theaters. A complete list of locations can be found at the Fathom Events Website so pop over there, type in your zip code and it will show the nearest theaters to you. • Bosco chocolate syrup was used to simulate the blood in the film. • The US rating system was instituted November 1968. 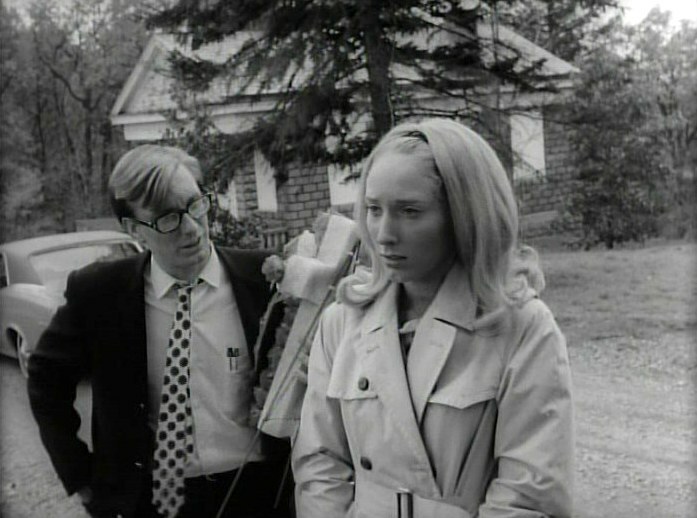 Night of the Living Dead was released October 1 1968, making it one of the last films released in the US without a rating. • According to George A. Romero, the film was originally ten minutes longer but the distributor pressured him to cut it down. • The word "zombie" is never used. The most common euphemism used to describe the living dead is "those things," mostly by Cooper. Other characters refer to the creatures as "ghouls" and "flesh eaters". However, the film codified many tropes about zombies that have been used in many movies since, including zombies eating human flesh and that zombies can only be killed by shooting them in the head. • The house used for this film was loaned to the filmmakers by the owner who planned to demolish it anyway, thereby ensuring that they could do whatever they wanted to the house. • George A. Romero saw very little profit from the film when thanks to his lack of knowledge regarding distribution deals, the distributors walked away with practically all of the profits. • The actors who played the zombies in the film were given a t-shirt as payment for being in the film.